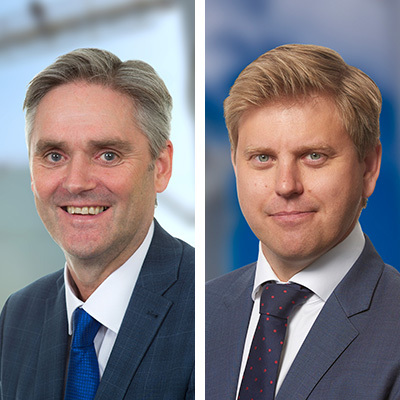 Inter Terminals is strengthening its Leadership Team to support the continuing growth and development of its business – now ranked as one of the largest independent bulk liquid storage providers in northern Europe, and the largest in Scandinavia. With over 26 years of experience with the company, Paul Oseland is taking on a brand new role of Chief Operating Officer, Inter Terminals. Replacing Paul as Commercial Director, Inter Terminals is Per Follin, previously responsible for managing large-scale development projects for Inter Terminals’ Swedish business and supporting acquisition activities within Europe. 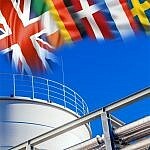 The decision to introduce the new position of Chief Operating Officer reflects Inter Terminals’ significant expansion since becoming part of Inter Pipeline Ltd. in 2005. During this time Inter Terminals has grown from the UK and Ireland based Simon Storage business with approximately 1 million m³ capacity to a pan-European business, with a combined capacity of approximately 4.4 million m³ across 16 multi-product terminals in five strategically located countries, namely Sweden, Denmark, Germany, the UK and Ireland. As Chief Operating Officer, Paul will support Inter Terminals’ Chief Executive Officer, Martyn Lyons, in developing and leading the implementation of the company’s strategic and business goals. The new role will have solid reporting lines for business functions including engineering, operations and commercial, as well as indirect reporting lines with the company’s European operations. Paul has degrees in Engineering and Business Studies and brings extensive knowledge of the business to his new position. 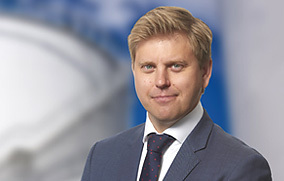 In addition to his former role as Commercial Director, he has worked in European business development activities and has managed two different UK facilities operated by the company. 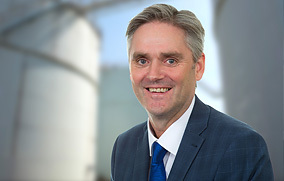 Per Follin’s promotion to Commercial Director, Inter Terminals marks the latest step in a highly successful career within the tank storage sector. Starting out as a Management Trainee / Assistant Terminal Manager, Per progressed through various leadership roles in project and technical management and business development. His considerable industry expertise is backed by academic achievement, with degrees in both Corporate Finance and Mechanical Engineering.